Iron Lot offers 1″ thick A-36 Steel Road Plate for sale. 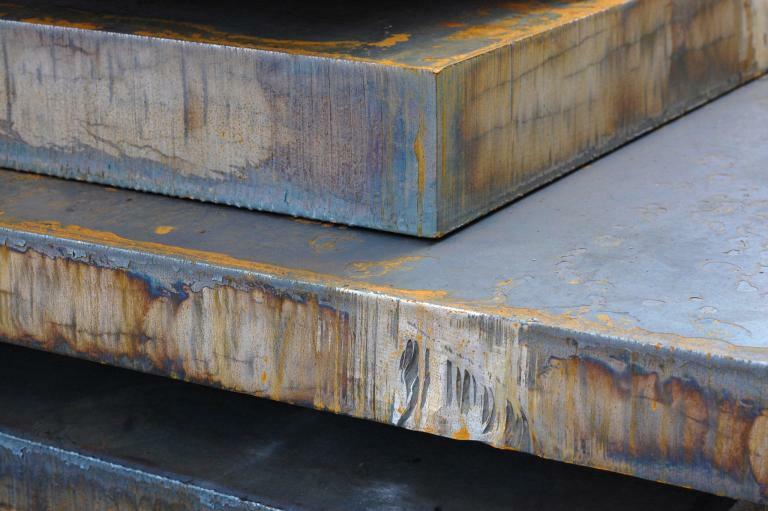 Our ATSM A-36, A572-50 steel plates are fabricated to meet DOT specifications. 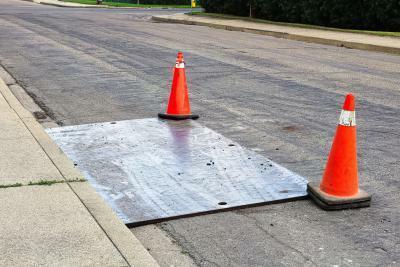 Road Plates can be utilized for trench covers, temporary roads, and pedestrian walkways. 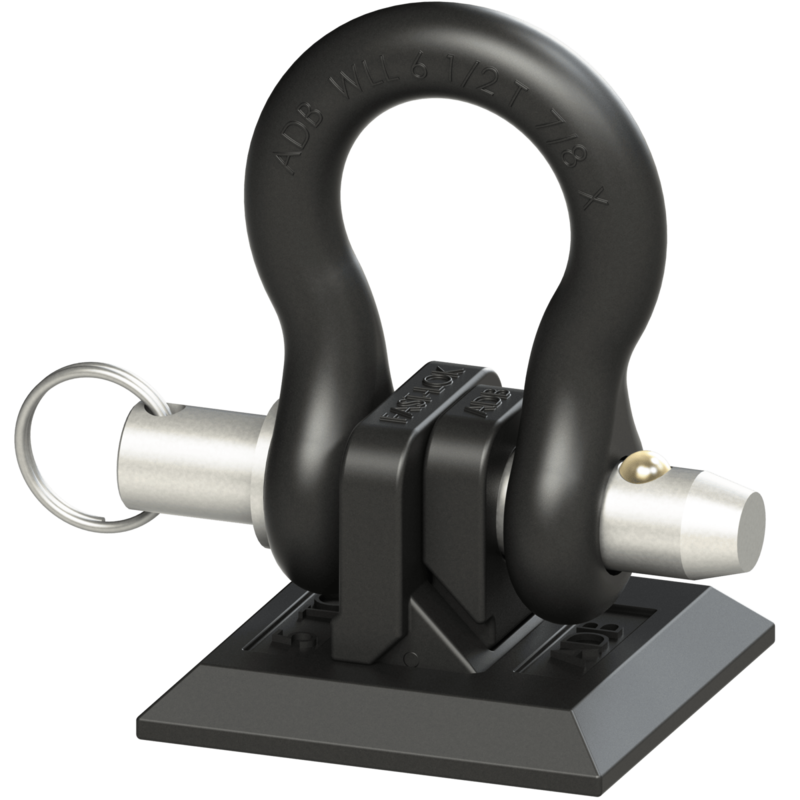 Options include holes cut for easy lifting with a chain and additional lifting devices. 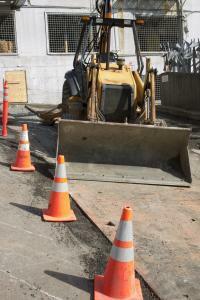 They are often used along trench boxes during excavation for utility construction and repair. The thickness required can depend on the posted speed of traffic, with speeds at or above 45 mph requiring 1.25 inch thick plate. Specific requirements should be checked and confirmed with both individual DOT’s and municipalities. Steel Plate on road with traffic safety cones. Street Plate is used to cover trenches or holes in the roadway.